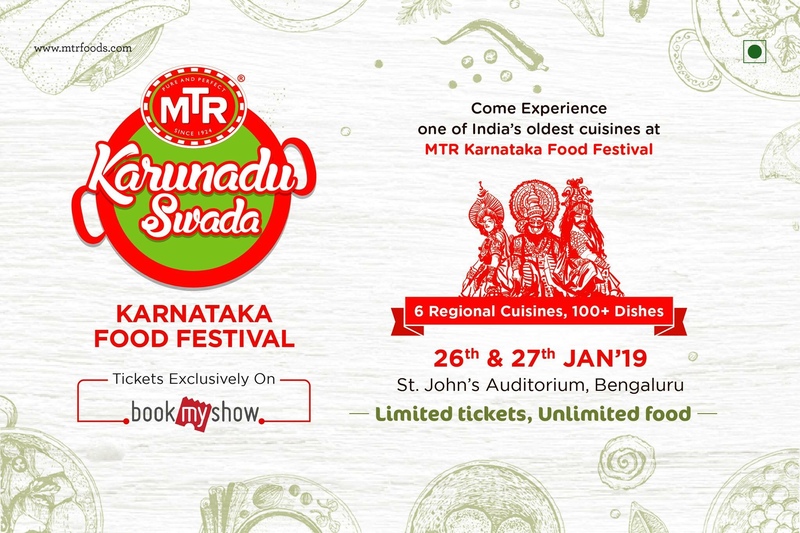 Karunadu Swada – Karnataka Food Festival, which is happening on 26th Jan and 27th Jan. An event officially started off with Dollu Kunitha on 25th evening and the performance was extraordinary. The festival is being held for the second time at St. Johns Auditorium, Koramangala, Bangalore. Why Karunadu Swada? Well, it’s a place for every foodie toexplore and eat the authentic & forgotten foods of Karnataka. MTR did aphenomenal job in getting the home chefs from various regions of the state andgot that authenticity back. Also, its created a platform for so many aspirantsto showcase their skills. Its highly impossible to explore our regionalcuisines unless a strong mindset to visit every city and town. Now, it’s easierto try out everything under one roof. What’s different from Last year? In 2018, it was first timefor organizers and crowd management was messed up completely due to the sameentry and exit doors. But this time, they have planned well with different entry& exit doors, the outside walking area is slightly wider. There is ampleplace between 6 different stalls which makes people to walk and stand easily,tiny portions – this is a great move I would say from MTR by keeping foodwastage prospective. Tasted Good? Definitely yes, I have tried Unde Kadubu, PundiPalya, Sajje Rotti, Ennegai, Naikool, Coconut Paji, Kumbla Curry, BollariBarthad, Kali Tholi Ghassi, Pathrode, Jolad Rotti, Ranjaka, Girmitt, Mirchi,Surnali Dosa, Adgai, Kayi Sasuve Chitranna, Sabsige Soppina Anna, Agase hindiPudi along with our own Ragi Rotti, Chow Chow bath, MTR Masale Dose, Rava Idlyand Paddu. There were few desserts as well, which are again phenomenal. Onething I liked about all these dishes is that, they haven’t reduced the salt andspice levels and some of them were tasted like home made. Price? To explore and try all the dishes unlimitedly for 500 Rupees is definitely a steal. My sincere thanks to MTR for having me over to the exclusivesession and please note, this write-up is completely based on my experience andnot influenced by anyone. Please share your opinion in the form of comment withoutfail.